Cary, NC – Sept. 14, 2017 – With the Filtration® 2017 International Conference & Exposition less than a month away, engineers, product developers and business managers can now preview many of the product introductions and innovations that will be introduced Oct. 11-12 in Chicago on the INDA website for the event. The “Product Preview” feature on the Filtration 2017 site includes new products that some of the 140-plus exhibitors will showcase at this year’s event at Chicago’s Navy Pier. Excitement is mounting for Filtration 2017 and INDA is expecting a strong turnout of about 1,500 industry participants with a new earlier date and continued growth in the filtration segment. Among the innovations that will be launched in air and liquid filtration are filter pockets that help lower energy consumption, multi-layer filters from new synthetic materials, filter assembly systems engineered for extreme duty performance and new intelligent equipment that makes pleats in heavy duty materials. In addition to the many business opportunities to generate sales and leads at the exhibition, Filtration 2017 will feature a powerful educational component to learn from world-renowned expert speakers. Top must-attend sessions include the keynote lunch on recent growth activity in filtration by Phil Whitaker, President and CEO, AAF Flanders; a panel on the Industrial Internet of Things (IIoT) in Filtration; a panel discussion on the ISO 16890 standards; as well as sessions on air purification, media design and measuring air filter energy efficiency. 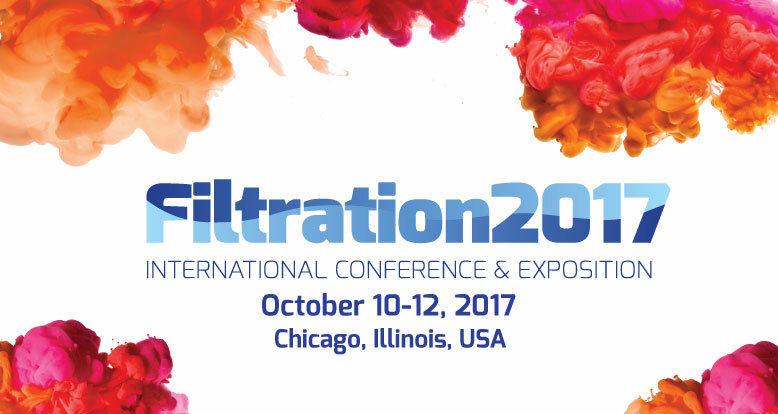 Filtration 2017 kicks off on Oct. 10 with the one-day acclaimed Nonwoven Filter Media Training Course prior to the exposition on Oct. 11-12. The industry reception will be Oct. 11, from 5 to 6 p.m., on the show floor. Online registration for Filtration 2017 is open at www.inda.org/events/filt17. INDA, the Association of the Nonwoven Fabrics Industry, serves hundreds of member companies in the nonwovens/engineered fabrics industry in global commerce. Since 1968, INDA events have helped members connect, learn, innovate, and develop their businesses. INDA educational courses, market data, test methods, consultancy, and issue advocacy help members succeed by providing them the information they need to better plan and execute their business strategies. For more information, visit inda.org or call +1 919 459 3700.